Ownership at Canyon River Ranch does have its benefits! 1. Welcome to the 509 Club! The Canyon River Ranch 509 Club was created exclusively for our owners. The mission of the 509 Club is simple - To help you make the most of your time spent at Canyon River Ranch. Our staff and families have lived in Kittitas County for years. We have explored much of Central and Eastern Washington, and we're excited to share our experience with you and your families! We are always amazed at the variety of activities that are available to see and do. 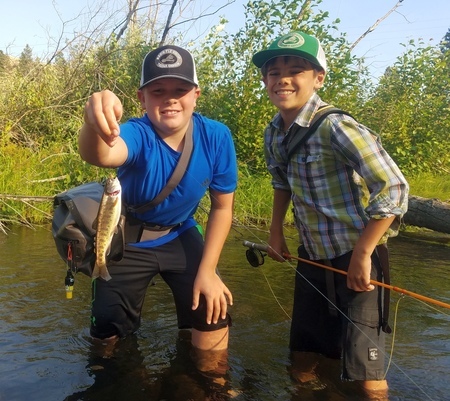 Whether it's fishing a remote lake or desert creek, hiking through wildflowers, driving to a mountain top, or wine tasting in the lower valley, these activities are what enhance your Canyon River Ranch experience and keep you coming back for more! The 509 Club features a diverse year round menu of fun, including outdoor outings, wine tasting, special chef recipes, guest lectures and presentations, even hunting for the elusive Morel mushroom. Most events will be free (for CRR owners), while some may still cost to attend. If you miss an event, no worries. We will send out a follow-up report so you can experience the activity on your own the next time you visit. Future 509 outings are listed below in no particular order. As invites go out, we will identify our staff host or CRR owner leading the outing. Many of these events are so much fun we'll have several staff and family members tagging along. Stay tuned for a great program! 4. 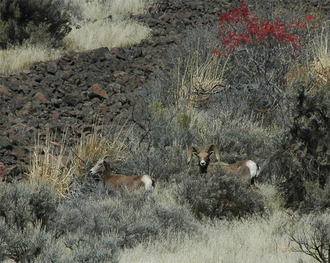 Canyon For a Day Bike tour - May 19! 7. 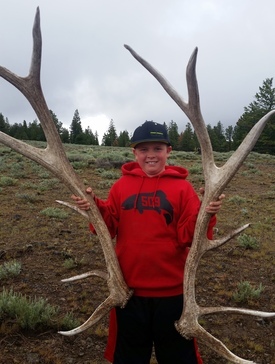 Shed Antler hunt - May 2019! 2. Sunday Drive and family picnic - Table Mountain/ Lion's Rock - Located in Northern Kittitas County near Ellensburg. Includes sight seeing and rock hounding. If you'd like to experience and learn about these special places, all you need to do is become an owner! 2. Your own private vineyard! The private Syrah vineyard has become an important and enjoyable component of ownership at Canyon River Ranch. Carefully planned to optimize the orientation of our site, the vineyard was installed in 2007 and has thrived. Award winning WA Syrah winemaker, Ray Sandidge continues to make our wine under our custom label, Relase. While 2009 was an excellent vintage, the recently distributed 2013 is getting a lot of attention. Uncharacteristically light in color, it produces a bold fruit forward with mellow peppery finish. Maintenance and production costs are built into the HOA dues, so all CRR owners are automatically vested. 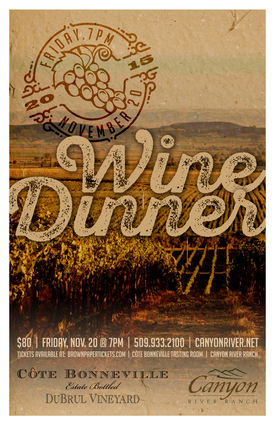 The annual wine distribution has become something owners not only look forward to, but also appreciate. This benefit is not insignificant, as the recent 2013 allocation resulted in each lodge owner receiving 5 bottles of wine and each cabin site owner receiving 33 bottles. A bottle of your own private label Syrah makes a wonderful Christmas gift for those hard to shop for people in your lives! 3. Your own private boat launch! A drive down the Canyon Road on any given weekend in July or August will demonstrate the benefit of having access to your own private boat launch! 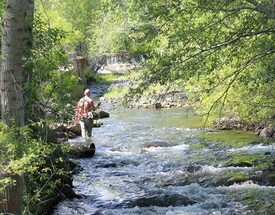 Canyon River Ranch maintains an excellent launch and takeout point on the North end of the property. It is ideally located below an island, providing a current break to launch boats or pull in without fighting the heaviest currents! The pool and hot tub are open year round 365 days per year. When the pool patio gets crowded on a weekend summer day, feel free to walk down and find a lounger under a tree on the sandy beach along our riverfront. You will find propane fire pits on the lodge patio, and traditional wood campfire pits along the riverfront with a great horseshoe pit area. This is a great place to make S'mores with the kids or share a glass of scotch and a cigar with old friends. 5. 10% discount on retail purchases at Red's Fly Shop. Applies to retail fly fishing products only that are not already on sale. These amenities seem simple, but are important and surprisingly difficult to find in your search for recreation property.